Checking "connectedness'' of line shapefile in ArcMap? Tell if the entire road network is "connected" - i.e., can I trace a route from any point on the road network to any other point on the road network? Is there a way to accomplish this in ArcMap? That is, is there a function that will allow me to highlight line segments that do no connect to other line segments, or something similar that would allow me to answer the two questions above? Yes, but sort of. ArcGis no longer has line-node topology that enables the user to tell how many arcs (lines) are connected at their ends (nodes). To check is one thing, but how about to fix instead? If you open the feature class in ArcMap and then use planarize lines (give a tolerance) and the lines will be snapped and split at intersection - saves a lot of work. If you don't want to split the lines then consider the tool Integrate but be careful to use a very small tolerance, it will snap the ends together but can make the lines also snap together. Before using Integrate keep a backup as it can destroy your data! Now, to find disconnected ends use Feature Vertices to Points to get the end points and then Collect Events which will give you a feature class with the number of end points present, at this stage any event of 1 is suspect so you will need to separate these out. To work out if it should be connected is the next task, use Generate Near Table (again with a suitable tolerance) and option of closest = ALL using the events with a count of 1 against the original lines, then using Summary Statistics you can find for each point the count of records using the IN_FID as a case field and NEAR_FID as a statistics field with a statistic type of "COUNT". To make like easier extract from the near table the records with a distance greater than 0 using Table Select. Each event will find the line that generated it but the distance will be 0, if it is attached properly to another line (at a vertex) the distance will also be 0, so now any event that has a record remaining in the near table is possibly disjoint but these will need to be viewed manually. Another approach is to use MAP topology. I knocked this bit of VBA code up that would identify dangling edges. If you see dangling edges within the network rather than the expected ends of the network then there must be a disconnect. The code relies on you having VBA installed, being in edit mode and have added the polyline layer to the map topology.
' 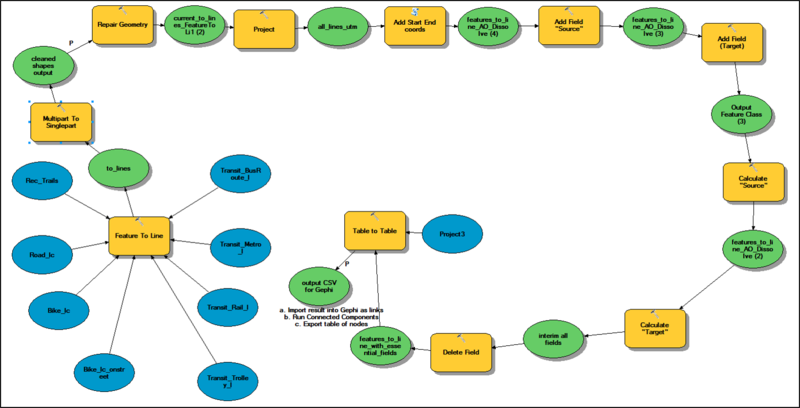 Description: Takes a polyline dataset and select all dangling polylines.
' also polyline layer must be first in TOC.
' Limitations: Large datasets take a long time to build the cache and may even fail. MsgBox "This code works only with polylines! ", vbExclamation, "Wrong data type at layer 0"
Application.StatusBar.Message(0) = "Building MAP TOPOLOGY cache, this can take a long time on large datasets..."
Application.StatusBar.Message(0) = "Identifying dangling nodes..."
Join By Spatial Location the original polyline feature to the resulting points layer. Use the "Intersected by it" option. The result will have a "Count" field for each line in your layer. if the Count is greater than 1, the line isn't "connected" to the rest of the lines. Conceptually: Step 2 here creates points at vertices with a single connected edge (one line "going in", zero "going out"). Since each line within the "connected" network will have at most 1 such vertex, any line with more than 1 isn't part of the network and is therefore not "connected". Cleanup after this point will likely be a manual process of examining where the disconnects are occurring along the lines and if the disconnect is a valid real-world separation or just a data flaw. Not the answer you're looking for? 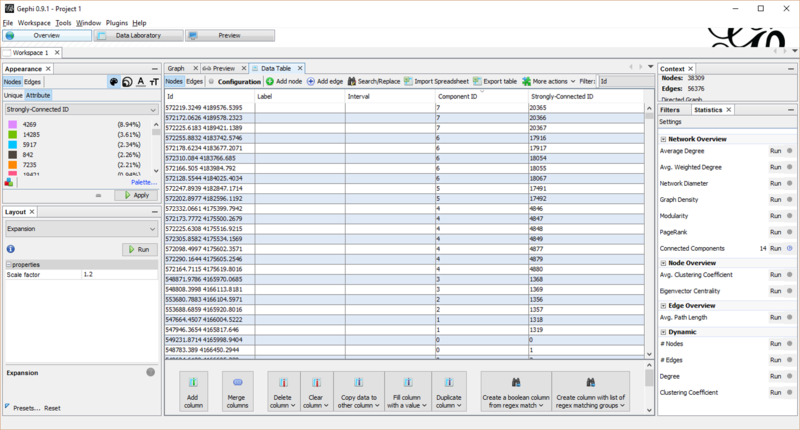 Browse other questions tagged arcgis-desktop arcmap line connectivity-analysis or ask your own question. How to fix discontinuities in polyline? Editor Tool, Areas instead of Segments in ArcMap? QGIS: Connect two nodes with line to close segment? 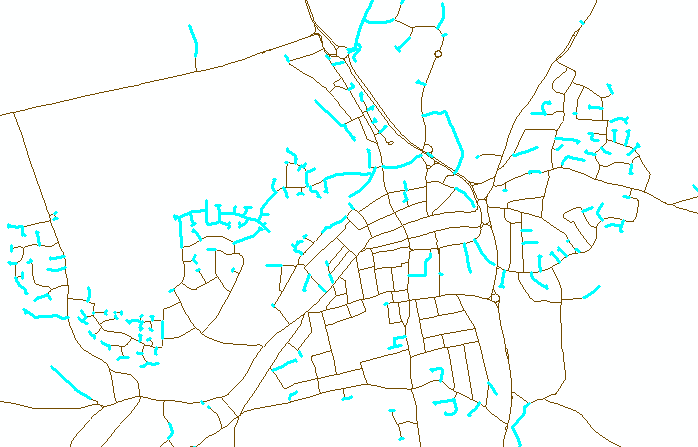 Determining total number of lines connected to a line segment in QGIS? Create Line inside the lake in ArcMap?